We have particular expertise in inspecting ecclesiastical buildings, ascertaining the causes of fabric decay, and determining necessary remedial work. 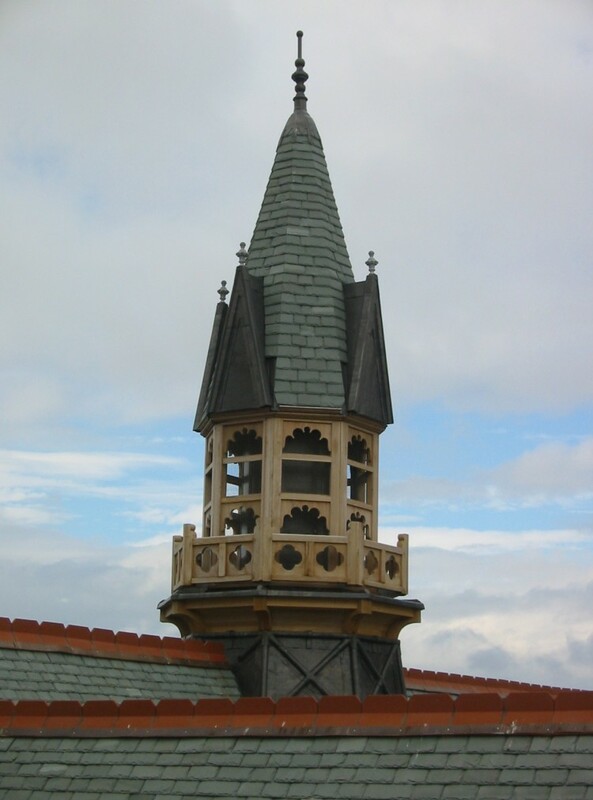 Our knowledge of traditional construction methods ensures new work is sympathetic to the nature of each building. 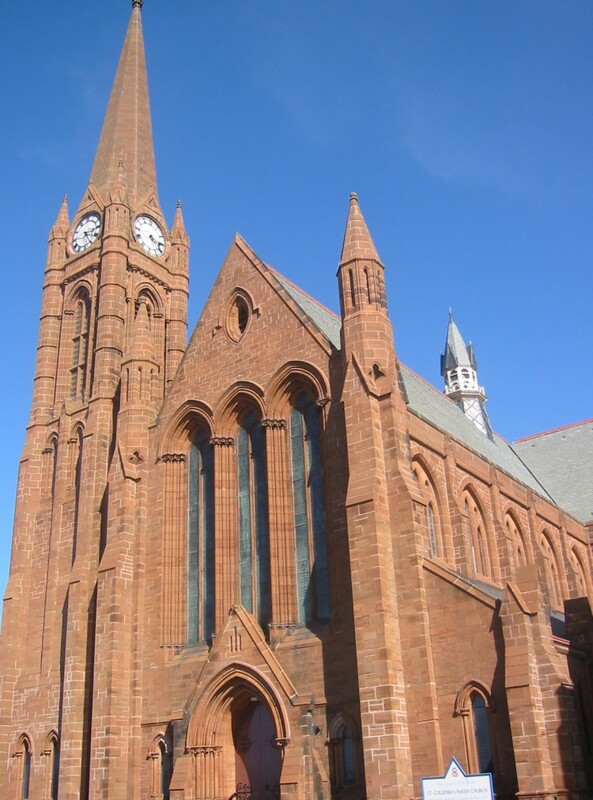 The illustration shows St. Columba’s Parish Church, a gothic-style church constructed in 1892 which dominates Largs’ north seafront. Its steeply pitched roofs, soaring steeple, magnificent interior and stained glass represent the best in Victorian ecclesiastical architecture. The project included the restoration of the existing fleche to the church hall and the re-introduction of the fleche to the main church roof. All roofs were re-slated following repairs to defective roof timbers. 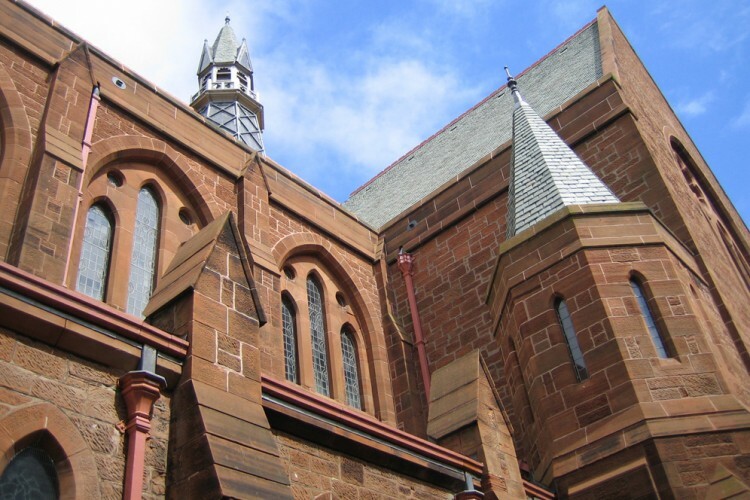 Stone was indented and re-pointed with lime mortar, the existing clock restored, all leadwork replaced, and extensively damaged stained glass restored.